I have to post this article because Gardiner MacDougall gets what the game is all about both on and off the ice. If Gardiner MacDougall weren’t so good at what he does, he could be considered an anomaly. 2016 marks his 16th year at the helm of the UNB Varsity Reds and his contract takes him through until 2019, a tenure that’s practically unheard of in the coaching world. But there’s a reason why they keep him around. He’s led the V-Reds to four national championships and three Canadian Interuniversity Sport silver medals; he’s been awarded the Atlantic University Sport coach of the year three times and was named the CIS coach of the year in 2010 after leading to his team to a 27-1 record (with 26 consecutive wins), and again in 2015. The 2007-08 team had the most successful season in AUS history (31-1-1) as well as the most wins ever (43) in Canadian university hockey. In 2006, he became the all-time winningest coach in UNB history with 106 wins and in 2014, became the 1st AUS hockey coach to accumulate over 400 wins. Not only that, his players keep setting academic records, too. The Coaches Site wanted to know what drives him and how he continues to draw the best from his players. Here is what he had to say. I’m originally from PEI and I went to school at St. Francis Xavier and St. Mary’s so the University of New Brunswick was originally my opponent. I didn’t go to UNB but my sister did—she was a field hockey player and went on to the Canadian national team and participated in the Seoul Olympics—and she always spoke highly of it. Before I had the opportunity to coach at UNB, I had an interview for the job two years prior and I was very impressed with the process. I had been coaching in Western Canada for about 14 years when the position opened up again. I applied a second time, but they were looking for an alumni to take over the program. The person they wanted ended up not wanting to take it so I guess I was third time lucky. My son was 10 years old at the time and this was our fifth location, as is typical in the coaching world as you are always striving to coach at a more challenging level. . When you coach, you coach and try to make it the “best ever” experience for your players and fans for that one year and then see what happens. In the coaching world, a long-term contract is a three goal lead in the third period with one minute left in the game, so I guess there is a certain amount of family security in university coaching.. I think the proactive people in this world ask: where can I go and what can I do to make a difference? Part of the mission statement at UNB is “… make a significant difference.” It was a good fit. I get to teach some classes in the faculty of kinesiology and am involved in the leadership with hockey, but it’s always a question of how can I make a difference? I’ve found the answer is that it’s all about little things. The philosophy here is to be the B.E.S.T, Better Every Single Time, and that’s what we try to get out of our players. Getting the most out of them comes down to focusing on one part of your game, maybe it’s speed as we want our team to play with pace and our theme is Fast & Faster, if you get a little better every time you come to the rink , then you see how much better you get after a month and then after a year. We have our guys for four / five years so if we’re doing our job and the player is meeting his commitment, then he’s going to be not only a much better hockey player at the end of four years but a much better person as well by learning so many life lessons on how to compete , how to grow their “grit” and how to respond to daily challenges.. It was probably the second or third year when I started seeing guys do really well academically. It was almost as exciting to see how well guys were doing in school as winning a game. I like to say enthusiasm is contagious and you should spread the fever, so it is so rewarding to see how well our players do in school. We had a former player – Denny Johnson from the WHL who had a 59 percent average in high school but was an Academic All-Canadian (3.5+ GPA) five years in a row while he was here, he became one of the top students we’ve ever had, and now he’s a doctor in Swift Current and works as Sports Psychologist for the Broncos. Many players end up getting their MBA degrees here and we currently have 3 players in Engineering and one in Law School. Two years ago we had 13 Academic All-Canadians from our group, which is outstanding. We put up a paper that had the 3.0+ GPA Club on it and it’s amazing to see what that could do in terms of peer value and pressure. But you’ve got to hand it to the players and the environment created by the players that have come before them that has cultivated the importance of academics here and I give them full credit for what they’ve done. University is a higher order of learning but I think it should be a higher order of giving back as well, so community is another big part of the equation. We try to give back to the community with development camps that our players help us out a great deal and we created our V-Red Prospects youth development program which has really made a big difference in Atlantic Canadian hockey development. We recently had our 23rd and 24th participant from this program play games in the NHL with Logan Shaw from Florida and Morgan Ellis in Montreal..
We have three things we expect from our student – athletes. One is to be protectors, to protect what’s been done here before, it’s a great legacy and a great tradition both on and off the ice so the group this year has to protect what’s been done here before. Then we talk about being builders, building something new that’s special to the group we have. In the fall we beat an AHL team in an exhibition game and also defeated a # 1 ranked NCAA team in exhibition play,.We had tied an AHL team before but had never beat them, so this group found a way to build on what’s been done. The third thing is being believers, you can’t protect and you can’t build if you don’t believe you can. Confidence is a big part of our program here, the better physical condition you’re in, the more confidence you’re going to have as a player. When the players come to practice every day, I expect the very best out of them, and our fitness trainer expects the very best out of them, and then they start to expect the best out of themselves. Hockey is the main love but you want them to have values they are going to use when they move on from hockey. When you’ve been with a program this long, you get to see how well the players and alumni have done in different aspects of life. We have had over 50 players play at the AHL level and 4 of our recent grads have signed NHL contracts with 2 of them playing NHL games – last year we had 5 former coaches coaching in the NHL so development is a huge part of our program here as well. You just signed on until 2019 so what’s next? I’m looking for the next win. There are always new challenges each and every year and as a coach, you have to identify those challenges but ultimately, it’s about doing this better than it’s ever been done before. Even though there are high standards here at UNB, the group this year has found ways to make it even better so it’s exciting; it’s a special journey with the group we have this year. When a player makes a decision to play University hockey, he can choose anywhere he wants to go. I learned early on that I’m a much better coach when I have great players and am working with great people. I’ve been fortunate to work with terrific staff from day one and we have so many people involved in different ways with our program to help make it better every year – our Sports Pyschologist now works with Tampa Bay , our former video coach is in Toronto with the Maple Leafs while academicially we get tremendous support from the academic community.. My Associate Coach now is Rob Hennigar who played for me for 4 years and was our 4 x MVP and left here on an NHL contract as the CIS Athlete of the Year. After his pro career , he joined our staff last year. He bleeds the program and has done an excellent job with our group and with youth development in Fredericton. Hockey is more of a passion for me than a job and you can’t have what I have without support and I have a terrific wife and son and daughter who have allowed me to pursue my passion on a daily basis. It was Steve Jobs who said, “life is all about connecting the dots” and unfortunately most people connect the dots after they’ve lived their lives. I see the connections and see that I’ve been very lucky. There’s a big difference going from good to great and it’s not easy to get there. It’s not easy to have success, you have to put a lot of work into it, you can’t worry about the hours – no National Championships are won by working a 40 hour week so you don’t look at putting hours in, it’s just whatever it takes to get the job done. There’s no guarantee for success but you can put things in place that at least provide a foundation and hopefully the plan works. We’ve been fortunate here at UNB, it’s worked for the most part. In a game between two even teams. Your team will get the puck about 180 times. The opponent will get the puck about 180 times. Loose puck situations happen between going from offense to defense and from defense to offense. Your team is on offense 35% of the time. Your team is on defense 35% of the time. The puck is loose 30% of the time. Video Examples - Shifts of games at the World Championships and Detroit vs. Pittsburg. These video clips will surprise most coaches when you see how many transitions there are in ONE hockey shift. The nature of the game is that a player is constantly transitioning from offense to defense to loose puck battles. This shows how good habits like facing the puck with the stick on the ice, defensive side, quick offense need to be made a priority when we practice. Transition from offense to defense to loose puck is the constant in the game and the teams that do that best will be the most successful. There is a coloured circle at top right hand corner to represent the game situation. Green – your team is on offense. Red – your team is on defense. Video prepared by Finnish coach Kai Katajalehto. The Jasper Skating & Hockey Camp with Gaston Schaeffer and Tom Molloy is proud of the fact that the on-ice coaches are experts in their fields. By attending your child will benefit from 75 years of cumulative coaching experience at all levels of competition from learn to skate through professional hockey and figure skating. Gaston Schaeffer’s experience includes working as head power skating coach for Mount Royal University, consultant for the Chicago Blackhawks Athlete Development Specialist Curtis Brackenbury and head power skating coach for “Kids with Sticks”. In addition he also worked as the National Team Figure Skating Coach for Switzerland and has coached European and world competitors in both figure skating and speed skating. Gaston is also the patent holder and designer of the Graf “Edmonton Special” skate boot. Tom Molloy’s experience includes 5 years as head coach for the Mount Royal University women’s hockey team, 8 years as assistant coach for the University of Calgary men’s hockey team and 1 year as assistant coach, 3 years as head coach of the SAIT Trojans men’s hockey team, 4 years as head coach of the Calgary AAA Midget Flyers then Fire (girl’s), 1 year as head coach of the Salzburg Red Bulls U17 men’s hockey team and skills coach for all Red Bull teams in Salzburg, Austria, Hockey Canada School Skills instructor and 11 years coaching minor hockey. Currently Tom and mentors local and international coaches and is co-author of The ABCs of International Ice Hockey with Juhani Wahlsten of Finland, which is the antional development program for Austria. The Jasper camp is the best week of summer every year! I was walking my dog Mika and thinking about the various teams I have coached, seminars attended, seminars given, hockey schools taught, skill groups and where I have played. So here is the list that I recall. The first team I coached was in 1972 during my last year of college in Bemidji. I have been coaching ever since and decided to jot down the where and when of playing and coaching. The rest of the list is in the PDF below. They are doing a great job in developing hockey players in Finland. 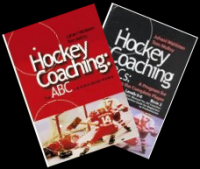 Our book should be called "The Finnish Method" instead of Hockey Coaching ABC's. Juhani Wahlsten is the father of coaching there and the main author of the program. Too many games and focus on skating and good habits for most coaches but it seems to be working in that part of Scandinavia. I have spent 17 years coaching in the Canadian university and college leagues. Three times I went to the CIS finals in Toronto with the U of Calgary and coached in the Alberta Colleges men's league four years and women's league five seasons. On the female side it is the highest level most of the girl's will ever play and they enter right after high school. The men's side is different. A boy right out of U18 Midget AAA has almost zero chance of making the varsity team. He has to play at least Jr. A and for the CIS teams it is usually Major Jr. before he will even be considered. Even Div. 1 NCAA is going this way. One of my friends son has a full ride to and eastern NCAA school but not until he finished another year of Jr. A. They aren't interested in development but want a player who can contribute right away. So you get players who are very good but they have gone through the draft and played a few years after and will graduate at 24-25+, then go to work or some play in the low minors or Europe (I have helped over 15 of my former players get contracts in the lower leagues in Europe). Change the rules so that at least 3 freshman per season must be U19 and then the CIS would start producing some high level pro prospects. Another benefit is that they would be the same age as other freshman who would identify more with them than the other 21 year old first year players. The CIS coaching is the top coaching in Canada and the practice time is at least double what you get in Junior where playing games is the focus and we have fallen behind countries like the USA, Finland, Sweden, Russia developing skilled, creative players. Germany doesn't develop many high level players because they follow the same model as the CIS. The imports play while the Germans watch from the bench. Austria has point system in their top league. It doesn't matter if you are Austrian or not but if you played NHL or another top league then you are 4 points and the scale goes 3-2-1 depending on age and experience. So a young Austrian only counts for 1 point and that encourages the club to develop their young players instead of jut buy them. Just throwing the idea out there. The first PDF is from Level 0, which is non-skaters and there are four practices using games and exercises that focus on skating and good habits. The second PDF uses Level 1 to continue skating, skating with a puck, shooting. Skating and shooting exercises games and tournaments with modified rules and multiple pucks are done. I am in Spain playing exhibition games and a tournament with some friends and their son's. We are in San Sebastián now and it is a great place right on the Atlantic Ocean. Great beach and our hotel is in the prime spot along the shoreline. They have a lot of good hockey players here and the games are competitive. Friday we travel to Vitoria where we play in a tournament that features back to back 30 minute games. I have never done that before so it should be interesting. This is from a random practice that I watched after running my skills practice with a school group. It is a U18 group practicing skills. In studies done in Canada and Finland the average 60 minute practice that uses drills has each player active for between 7 and 11 minutes per hour. This was a well organized drill practice where the coach had a plan with stations and active assistant coaches helping. It is at the high end of the 7-11 minutes of activity in a drill based practice. I took a video of one player for 30 minutes and she was active for 5’ 26” (five minutes and twenty-six seconds) and waited in line, got drinks, watched drill demonstrations or watched drill explanations on the white board for 24 minutes and 34 seconds in 60 minutes. So at this pace the players would have been active 10’ 52’ in one hour and been inactive 49’ 8”. I put the 30 minute video on YouTube. Stats that give the players active and inactive segments are below. Active from 28-44 seconds, puck handle and shoot.- 16”. Starts passing and skating 2' 3" to 2' 20" = 17"
Back to the lineup 2’ 20” to 3' 9" = 49"
Active 4’ 4” to 4’ 14” = 7” and coach ends the drill. Active 8’ 26” to 8’ 34” = 8” then drink and new drill. Inactive 8’ 34” to 11’ 18” = 2’ 44” at the board and waiting for next rep.
Inactive 12’ 31” to 16’ 52” = 4’ 21” coach teaching and demo of new drill then wait for turn. Inactive 17’ 25” to 19’ 18” = 1’ 53” waiting then watching coach demo. Inactive 19’ 55” to 21’ 34” = 39” waiting and watch demo of variation. Inactive 23” 28” to 27’ 28” = 4’ Drink, new drill demo, wait for turn. Inactive 27’ 54” to 29’ 26” = 1’ 32” Watch demo and wait for turn. Inactive 29’ 50” to 30” Time period is finished. The player was inactive either waiting, getting a drink, listening to instruction for 24’ 34”. This posting has D-Games, DT-Transition Games, E-Shootouts and Contests, F-Skating for Fitness, G-Goaltending done by pro teams. T coded drills focus on the DETAILS of the game. They are A and B skills taught and supervised by a coach who is focused on technique. T1 drills focus on the first game playing role of individual offensive skills and T3 on the third game playing role of individual defensive skills. Tactical Skills: T2 - Second game playing role of Team Offensive Skill. T4 - Fourth game playing role of Team Defensive Skill. T2-4 means both are being taught at the same time. Most of these drills are written up in the drills section of this site where there is a description, diagram and video link to the drill and a PDF that can be saved. All of the videos on YouTube are also in the video section. Complete ABC of International Hockey Coaching Tools – the coach has to supply the Toolbox. I posted a manual on Transition Games yesterday and watching players in some of the videos made me think of what happens to them on the way to their dream of playing in the NHL. Some made it and some didn't for various reasons. I will write about some of the better prospects to show that there are a lot of hurdles on the way and even when you get to the top things aren't always easy. I started coaching a lot my first year of teaching PE in Junior High school. We had a school league and a hockey option where the kid's got three ice times a week. Ten years later I was head coach in college and we played the U of Calgary. The captain of both teams were in my hockey class. One went on to play pro in Germany and the other got a few tryouts with the Flames but his skill wasn't enough to to make up for being about 5'9" and 165 lbs..
During that era I coached a lot of summer camps and spring teams. One group I worked with was exceptional. It was coached by someone I played Jr. A with who played some minor league but quit when his future wife called and told him it was either her or hockey and he chose her. Three players from that team were first round NHL drafts. I coached one of them a lot each summer, one when I was in Austria and one just that spring team. Here is what happened in their way to the dream. The first played went NCAA then made the NHL and had a pretty good first year. The next year he insulted a veteran goalie after scoring a penalty shot. The story went around the league and he was open game and ended up getting some concussions. He went up and down NHL-AHL for years. I helped get him a contract in Europe that he backed out of. He didn't play last year. Player two was the highest ranked of the three when they were playing U18 but got a stomach muscle tear. He decided to go Major Junior and went 5 or 6 seasons that he played less than 10 games and then the injury came back. He finally played a full season in the American League but now he was about 26 and ended up playing for us in Austria and then played in the KHL and all over Europe. I saw him at a rink a few weeks ago and he is retiring. Player three is someone I coached every summer from the first time he was on the ice at 5 until he was 17. He skated with the various Korean teams I was a guest coach for each summer in the 90's. He ended up drafted 2nd overall and had a great start to his career. He bought a high powered car and a motorcycle cut him off and the car crashed into a barrier and got cut in half severing the seat belt anchors. He was really injured and everyone knows what happened to his friend. He had major surgery to reconstruct his shoulder and knee. I thought his career was done but he was one of the top scorers in the NHL from about 2003 until 2011, He played in two Olympics and was the top player in a few IIHF World Championships. He needed to have both his knee and shoulder redone and had groin problems and lost a few steps and now plays in Europe. Next are players from the 85ers team that demonstrates a few of the transition games in the transition game videos. A year ago six of them were still playing pro. Some are retiring now. Player one was a second round draft choice. He was in that 2003 draft and played for Canada in the World Juniors in North Dakota. Unfortunately he got injured at practice and didn't play much. He was a part time NHLer up and down between the NHL-AHL. He played in Europe and now coaches there. Player two was really skilled but small. He went NCAA and won the Hobey Baker. Unfortunately he stopped growing at 5'6" and about 165 lbs. He is very skilled and I recommended him to the team in Austria and he has made a career there except for one season where he played in the AHL. He did well but without an NHL contract he wasn't used on the PP because they want their players practicing in those situations, so he went back to Europe and has made a very good career there. Player three was also drafted in the second round and went NCAA for two years before turning pro. He is one of the really small 85er players in the video who skated bent over like Gretzky. He grew to 6' but only about 175 lbs. He had a good start to his NHL career and scored 25 goals and went to the Stanley Cup final but got hit in an awkward position in the corner and broke his back and ended up in a full body cast. He trained hard and came back and has been playing mostly in the NHL since taking one year contract where he scored 19 goals then a three year deal but got bought out and just signed a two way for next year. The other small guy had a dad that always complained and he ended up quitting and was the only one on that team to not play at least Jr. A. The two big early maturing defensemen in the video ended up not growing much after and played Major Junior as smallish 5'10' skilled D. I worked a lot with another 85 born player with good size and skill. He played 4 years of Div. 1 and in the minors and Europe. His dad insisted on calling the coaches to tell them how to use him and of course this went around and he couldn't get a contract. Another 85er who I coached the most had a Major Junior coach come watch him and tell him he was definitely good enough to play on his team. He was 6' 140 at the time and the day before main camp he decided he was too light and didn't attend the camp. He skated in a 3 on 3 camp with all major Jr. players and doubled the points of the next scorer. So skill is only one of the factors. An 87 born player who always attended my camps and played as an underage affiliate on some of my teams was drafted in the second round, played NCAA and on two Canada world junior teams. He scored 125 goals in Pee Wee and did his last two years of high school in one year then went to college. I don't know what happened but they seemed to coach the offensive creativity out of him and he became a hard nosed defensive specialist who hit and fought as a 5' 10" 175 lb player. He kicked around the minors and I got him a tryout in Europe but he didn't have the offensive confidence anymore and retired. When I was assistant coach at university we had a player who played Major Junior scored 135 points one year and 162 the next with 81 G and 81 A. He was the WHL player of the year. The problem he was 5' 9" and 175 lbs. but was a poor skater. He could only get goals and assists. Every season we would have players who attended NHL camps but this player was never asked. I wondered why no team even tried to see if he could be a PP specialist. I think he still holds the record in Major Jr. for PP goals and that is over all the famous players you can think of. I did three skills sessions a week at a local sports school to pay for my son's tuition and hockey fee. I only knew the boy's first names because they got bused to the rink and I was waiting there for them. Three made the NHL, one just signed with another team, one is skilled by undersized and played a while and now plays in the KHL, a third won the ROY and is a top two D.
I more or less got into coaching female hockey in 2003-04 season at college for 5 years, went to coach for the Red Bulls in Austria, then pro women for 2 and then Bantam boy's and back to Midget AAA girl's until last season. Many of the girl's have gone on to play college hockey. In 2008-09 when I coached in Austria and had a 93 born Finnish D man on my U17 team. He is undersized at 5' 11" and about 175 but may be the best skater I have coached. He won ROY in the Finnish Elite league two seasons ago and attended an NHL camp. He should end up in the NHL but he needs to be with the right organization. Watching TV I saw another former player who played for me in Midget AA in the 82-83 season. He is GM of the NHL team from the 'Land of 10 000 Lakes' and has done very well for himself. So size, skating, women, bad luck, injuries, parents, confidence are all important factors that happen on the Way to the Dream. Every one on these players who didn't make it are successful in business. So the struggles and successes on the ice have transferred well to life after hockey. Tactical Skills: T2 - Second game playing role of Team Offensive Skill. T4 - Fourth game playing role of Team Defensive Skill. T2-4 means both are being taught at the same time. In beautiful Jasper National Park for our annual camp. The players get three ice times a day and alternate between two skating with Gaston and one hockey with Jim and I and the next day two hockey and one skating. Friday the get one skating, one hockey and finish with a game. So 15 ice times in 5 days. That is 7.5 weeks of practices for the team I am coaching this season. Gaston is at another level as far as teaching skating. 5 years touring the world as a professional performer for Ice Capades and Holiday on Ice, Swiss Champ and Olympic skating coach, Doctorate in Body Mechanics. I watched the pro rookie camp and the skating instruction pales to what Gaston does. One of our players who has attended for 7 years was the fastest of 160 U15 boy's at a Hockey Alberta, Western League combine camp a few months ago. We have 24 players in total, 12 younger(5-11) and 12 older (up to 15) They are together for the skating 7 times, hockey 3 times and the smaller groups of 12 have a practice every day. the young group for 60 min. And the older group for 75 minutes. I have 6 small nets on the ice and we practice technique for puck handling and passing and then play small area games for the at least 40 minutes of each hour with the young kid's. The older group has two goalies at their 75 min practice and we do the SAG's at each end or one end and also use the small nets for games that work on technique and good playing habits. We also do full ice modified games with rules like at least one pass in each zone, Only 2" with the puck, etc. Today we will introduce individual defensive skill like blade on the puck, defensive side, stick lift as well as have puck protection competition and battling. Every day I go for a long bike ride and the food at the camp is fantastic. Life is good at the Jasper Skating and Hockey Camp. I took some video of the hockey sessions and only have one clip of the skating. Our little hockey camp had 25 players with the age range of 6-16, 5 girls, 20 boys, they got 3 ice times a day for 5 days, half hockey and half skating. We divided them into a younger group of 12 and older group of 13. They all skated with Gaston at the same time alternating 2 skating 1 hockey M-W and 2 hockey 1 skating T-Th. Friday they got 1 skating, 1 hockey and 1 game. Younger group got a 60' practice each afternoon and the older group a 75' session by themselves. T-Th we had one 60' practice with everyone. We had goalies and a few of the older player sessions but otherwise use 6 half size nets for games and drills. So the young players got 15 hours of ice time and the older players 16 in 5 days. We finished with a game where they rotated twice 10' each, younger then older, then played one 15' game. We combined the score white vs. dark. Both practice and game video on this site. Our goal is 80% movement and we came pretty close. The kid's and parents said they loved it and we had a great time. This is a playlist of practice ideas done by U18 and younger. The U17 camp was left as a separate playlist. Lots of the drills are from various teams and camps I have coached here, Austria and the Czech Republic but there are many other ideas as well. They were the ones took a camera along. Practice ideas for U18 and younger players. 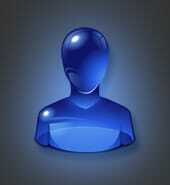 These playlists are continuously updated. Sent by Pops Ryan and moved to this discussion thread. Good to hear from you Pops and congratulations on your international coaching position. I am sure you will enjoy the coaching and cultural experience. You can search Overspeed at the top right of the homepage and postings on this site. It will take you to forum and video postings about overspeed but also to some interesting discussions that have happened on this site. There are examples from pro, Sweden, youth, etc..
You can make almost any drill overspeed by asking the players to do everything as fast as possible. Don't worry about falling down but push the envelope. Calgary Flames announced their roster for the rookie camp and tournament in Penticton. Aaron Hyman who attended the Jasper Skating and Hockey Camp for at least six years will be playing in the Rookie tournament for the Flames. Another of our long time players just finished as the fastest of 160 skaters at a Alberta Hockey, Western Hockey League combine this spring. All coaches are welcome to share ideas here. If a coach wants the diagram and description that go with these videos then use the search function at the top of the page and most of them are posted in the forum under the same name, then go to Advanced Options, Exact Phrase, to refine the search. Drills from top coaches from around the world. These are large PDF's with drills that some of the worlds best coaches use. The file is too large to attach here so you will have to use my dropbox link. The pdf has over 500 pages of drills from coaches who are actually coaching. This pdf. has drills from 2011-14. This link is for all of the Drill of the Week postings so far as is updated as new material is produced. The latest Videos, PDF's and Diagrams produced for this site are all in this folder. It is updated as the drills get added. Re: Which Kid Will Make It??? Just took my grandson to a tryout for the 2002 Alberta Cup. I coached the coach running the drills when he was the same age. He was one of the bigger forwards and the two smallest forwards went farther in the game than him. One to the NHL and the other won a Hobey Baker and is playing in Europe now. One other bigger player from that 85ers team made the NHL and six played pro. The player coaching tonight is the same size as when I coached him and he played NCAA. Another player was second overall draft by the WHL but quit hockey when he was 17. The moral of this rant is that size doesn't define you when you are 13 or 14 and you never know who is going to rise above the rest. I also ran into Billy Kim who was the fitness trainer for a Korean pro team I trained one summer. A kid I know asked if he could train with them. He was always calling me to see if he could get extra ice as I usually was coaching one group or other and he never had to pay. They did 2 x 2 hours a day for six days a week x 4 weeks. So 96 hrs on the ice. He skated the afternoon session every day (and did this for the 8 summers I coached various Korean teams). This boy was passed over on the Bantam draft because he could score but was about 5' 7" like his dad and wasn't a great skater. Koreans can really skate and that helped but he also had a growth spurt and shot up 6 or 7" that summer. His uncles in Germany are 6'5". The next season he was the top scorer in the Canadian AAA championships with 16 points in 4 games. He was second overall in the NHL draft. Scored 50 twice won an Olympic Gold, two World Championships, NHL ROY and was top scorer in the NHL playoffs one season. So who can tell which 14-15 year old will make it or not. It is really up to them. Just stay out of the way and open doors for them if they ask. Former Finnish National Team Coach Jukka Jalonen explains three drills and then does them on the ice with U18 players at a seminar in Latvia. The D goes through three breakout options, go, D to D and reverse and joins the rush. The first two options a point shot is added and the third the D skate down the boards for a pass from the F.
B6 – Double Pass to F x 2 – Point Shot – Latvia Youth – another drill from the practice. Video of Jukka Jalonen explaining the Finnish philosophy of how to organize a practice then runs a pro practice. The Finnish view of how to organize practices for every age group is outlined in the ABC’s of International Hockey manuals. Juhani Wahlsten an IIHF Hall of Fame coach from Finland simplified system by coding the drills and games. Finland Hockey Organization – Presentation given by Kalle Väliaho at a seminar in Calgary. Wally Kozak worked with elite Bantam and Midget players at the Edge School for Athletes. I came along and took video for him. He has prepared these videos. Wally reviews principles of efficient forward and backward skating. Highly Skilled players focus on Progressive drills to master their back ward stride. Progressive Deliberate practice focuses on proper technique. Players learn as they progress from slow to game speed. Developing Individual Tactical Skills is a primary focus for a Hockey Academy. This ice session will provide coaches and players some ideas that will translate into improved game execution. Skating the game requires deliberate practice of specific tactical skills essential to playing 1 on 1 situations. The Backward stride and Mohawk pivots are essential when playing a rush. Teaching these skills in youth hockey would benefit execution and enjoyment at any level. The 2 foot stop and cross over start are good conditioning exercises that have little value during the game. When a player has to put the brakes on at full speed they likely over skated the situation. To Skate the game defensively the player has to control their inside edges to control their speed and direction according to the game situation. Practicing snowplow stops and using a front foot stop and T start will improve game skating, helping players to always face the puck carrier and maintain D side. Dave King's Teaching cue was "toe caps square " to the puck carrier. One of he best drills to teach Defensive players how to SKATE the 1 on 1 RUSH. Initially the D play an attacker with their hands behind their back keeping them outside the dots. Maintain a good gap. The D progress to hands free, Stick Turned over to Stick Normal o master "skating" the 1 on 1. Progressive deliberate practice for Transition skating, Back Ward Striding and Pivoting is necessary to master those skills that will improve game performance. The Edge school Prep team learns from a Rush Race Drill. Coaches learn how to explain the drill so it can be executed to accomplish it's purpose. This National Team drill reveals the need to spend more time on Backwards Starts and striding. When the 1988 National team began this drill the defensemen started on the Dot and struggled. In the last half of the season all D could start at the bottom of the circle and keep the defender on the outside not allowing a dangerous shot. Game Like Practice practice is an opportunity to test one's Individual Skills and Hockey Sense. The foundation to performance is Individual skills. The importance of maintaining D side and the tactical skills required are revealed in this video. College players and U18 Girl’s working on the same concepts. Boston University develop Defensive tactical skills with deliberate practice. Time well spent. At younger age players need to taught these special skills in a progressive fashion. The importance of Defensive tactical skating is demonstrated by a number of breakdowns i Defensive 1 on 1 play. Progressive Deliberate practice in this video will help coaches of ALL levels to develop Tactical Skating Skills important in Defensive hockey. Wally Kozak hockey coaching videos. I've spent a little time on the bench in the 5 or so years my boy (now 8) has been playing. Going into this year Novice AA (2009 Born) I've been asked by the staff to take a lead roll in helping to Manage the changroom before and after games. Of course helping with the kids equipment is a big part of the roll. What I'd like to hear is tips other coaches have for keeping a fun but focused atmosphere in the changroom with such a young group. I like to envision a changroom that is focused 100% on the upcoming game but realistically speaking here, we're talking about a room full of 8 year olds. The little bit of focus i can get out of them i would like to put to good use. Managing kids on the bench is a relatively easy task, it seems like the second they step foot out of the room the focus becomes the game. In the Room before the game I see as a challenge. Any ideas floating around out there? Brad, with 8 year old players I think the first thing is to get them there so that everyone is dressed and ready 10' before you get on the ice. The other thing is to make sure they are behaving properly. Allow parents to help tie skates and get the equipment on and then everyone has to clear out ten minutes before so the coaches can get them ready for the game. Maintain a pleasant atmosphere and joke around with the players in the dressing time. After the game take another 5-10 minutes to talk with the team then allow the parents in to help. Make sure all the tape and garbage is in the garbage can and that the players leave in good humour. If they have had a bad game it is a learning experience but always a fun experience. Keep the atmosphere light. We have 80% of the kid's quitting by 14 because it isn't fun. So try to make it fun to come to the rink and compete hard. Here is good video about an effective way to teach young players about positioning. Train Tracks is a simple visual to help Novice players adapt to Whole ice Hockey games. Playing Whole ice Hockey at this age does not contribute to player development. Whole ice games are more fun for the parents and coaches and those dominant players who have the puck most of the time while the others follow it around. This video will help coaches and their players to spread out and learn to play their positions. There is a lot of good hockey material on the internet. HC and USA hockey do a good job. This is a link to videos of how the Swedes teach the game. The Swedes do a fantastic job of development and I have put English subtitles on 150 of their skill video clips. They aren't on Youtube but are on this site at the link below. Enio Sacilotto who coaches Major Junior in Victoria has run a Drill of the Week Club for many years. High level coaches from around the world send 4 drills a favorite quote and a book recommendation. Lots of great practice ideas from successful coaches. Hockey Drill PDF’s Organized in Dropbox Topic Folders - each has a description, diagram and most a video link. Juhani Wahlsten (IIHF Hall of Fame Finnish coach) and I wrote the development program for Austria. It is a progressive program and if you follow it as well as the Swedish progressions you will have very compete players. Practice ideas for U18 and younger players on YouTube. Use these manuals and get everyone skating in all directions and work on all the skills both in drills and in game situations. So skating is the key and learn the skills but always play games where they need to do the skills under real pressure. Teach good habits and game understanding at the same time by following the progression in the program we set up for Austria.